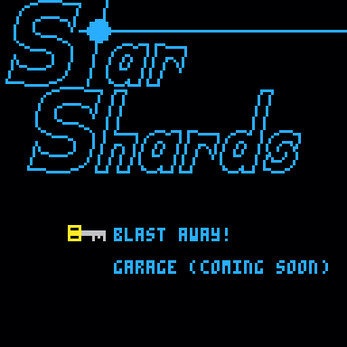 Star Shards is a PICO-8 interpretation of the Gummi Ships from Kingdom Hearts. With the dawn of Kingdom Hearts 3, I wanted to commemorate the release with some fan-art, which crystallized as this demake of my favorite mini-game from the series! I've been playing with PICO-8 for about a year, but this is my first serious project for the fantasy console. 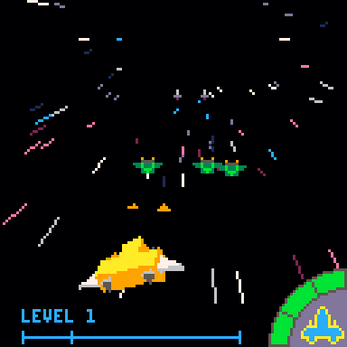 For those who don't know, PICO-8 has no concept of 3D graphics. In fact, it's limited in many ways - it has a fixed 16 color palette, 32KB of memory, and a 128x128 screen resolution. That's the whole fun of it!